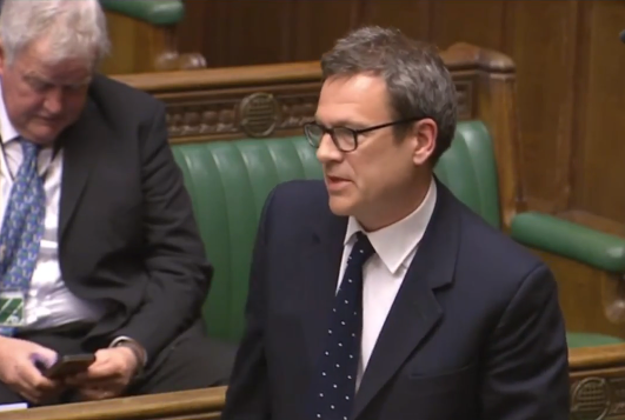 Isle of Wight Conservative MP, Robert Seely took to Twitter to make it clear that he is still backing the Prime Minister on her approach to Brexit. I agree with @10DowningStreet. Parliament IS trying to block the mandate. 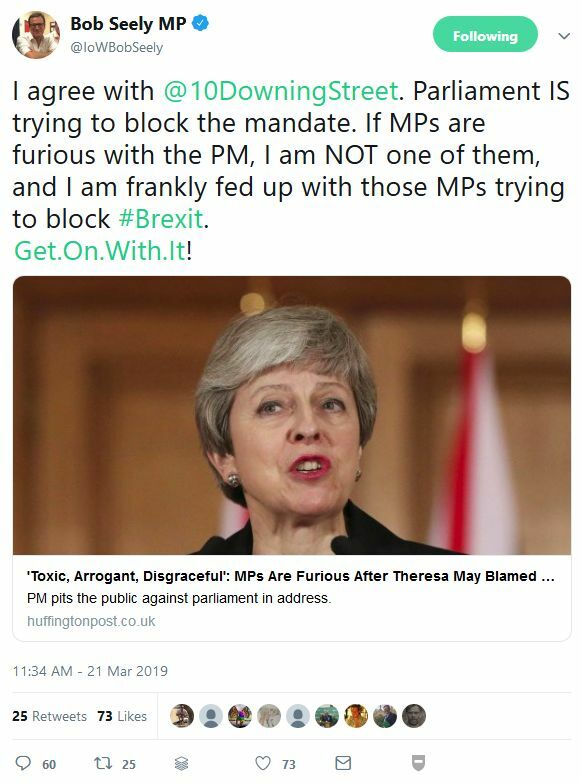 If MPs are furious with the PM, I am NOT one of them, and I am frankly fed up with those MPs trying to block #Brexit. Get.On.With.It! Unsurprisingly, with its connection to Brexit, reactions from the public were mixed. The Tweet has received 73 Likes, 25 Retweets and 60 Tweet responses (at time of publishing). While some agreed with him, the majority of responses to his Tweet have been unsupportive of his position – and they are mixed between people who want to stay in the EU and others who want to leave. Some criticised Parliament for blocking the ‘Will of the people’, suggesting that the MP needs to think carefully about his actions, or face a backlash at the ballot box in any future election. Others were pushing for no extension of Article 50, seeking to exit under WTO rules. 9 Comments on "Bob Seely standing firm behind Theresa May on Brexit – To a mixed reception"
So has the beard gone already…? ‘Get on with it’? I wouldn’t read too much into that. Bob latches on to any populist phrase or cause, like the deliberately inflated island housing proposals, which he can challenge and decry in order to look good in the eyes of the gullible Tory voters. He is just another shallow politician seeking to climb the greasy pole in Westminster. He sounds like one of those awful Wetherspoons warriors with his ‘Get on with it’, what is next from this person? How long before he starts calling those who wish to remain in the EU ‘remoaners’ or ‘traitors’ as people of that ilk tend to do. Be gone odious one and take useless May with you.